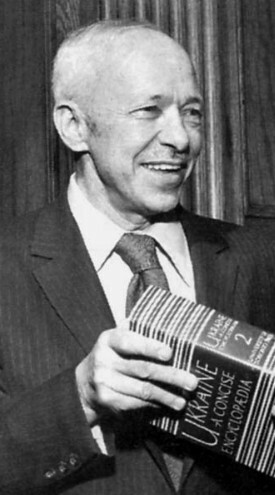 Drahan, Antin [Драган, Антін; Dragan, Anthony], b 28 August 1913 in Holeshiv, Zhydachiv county, Galicia, d 2 February 1986 in Washington, DC. Journalist, community and political leader. Drahan served a prison term (1934–6) for his activities as a member of the Organization of Ukrainian Nationalists. In 1938–41 he was a contributor to the Ukrainian Press Service in Berlin and later served as an editor of Ukraïnets’ and Khliborob—newspapers published for Ukrainian Ostarbeiter who had been brought to Germany to do forced labor. In 1946 he moved to the United States of America. After serving as the co-editor of Svoboda, he was appointed its editor in chief and served in this capacity from 1955 to 1979. He also edited the almanacs of the Ukrainian National Association. He is the author of Ukraïns'kyi rezystans (The Ukrainian Resistance, 1948), Ukrainian National Association: Its Past and Present (1964), and Our Ukrainian Cardinal (1966). He was the editor of a book on Luka Myshuha (1973) and the managing editor of Ukraine: A Concise Encyclopedia, 2 vols (1963–71).